Last March, I wrote a post about the injustice of the $60 game. For the record, I still think it’s sort of a dumb idea, but lately I’m a little more disturbed by the downward trend that game pricing has been following in the last decade or so – What does it mean, and is it important? What am I talking about? Let’s first consider the pricing timeline of your average, well-reviewed, big-budget video game. Something like the recently released Bayonetta or Darksiders is going to hit store shelves at its full MSRP of $60. As a few months pass, depending somewhat on the success of the game, list price will drift down into the $40-$50 area (see the September-released Halo 3: ODST, November’s Michael Bayfare Modern Warfare 2). As we get into the 12-month window (see Fallout 3, Prince of Persia), prices go down to around $30, which represents a solid value at half the price of a new release – I typically prefer this sweet spot, where the ratio of game age to game cost is most reasonable. Once you get to the point where a game is 18-24 months old anything is fair game, but $20 is standard bargain bin pricing - if you’re way behind on your games you’ll find stuff like Bioshock and The Orange Box at bargain basement prices. It’s not a bad system, but unfortunately for developers and publishers, it’s far from the norm. Any game publisher will tell you: for every game that makes a billion goddamn dollars, there are many that never even break even, regardless of quality. That’s basically the modus operandi of the industry – let the games that make a profit subsidize the less successful experiments. These experiments almost always throw the above pricing timeline out the window – if it becomes clear that the public has no interest in your game, the theory is that you should price it to move so you can at least make back some small part of what you spent on the thing. A prime example is Sega’s Madworld, a Wii game released in March to a good critical but poor commercial response – the game is going for a shameful thirteen dollars, new*, nine months after it would have commanded a $50 price tag. 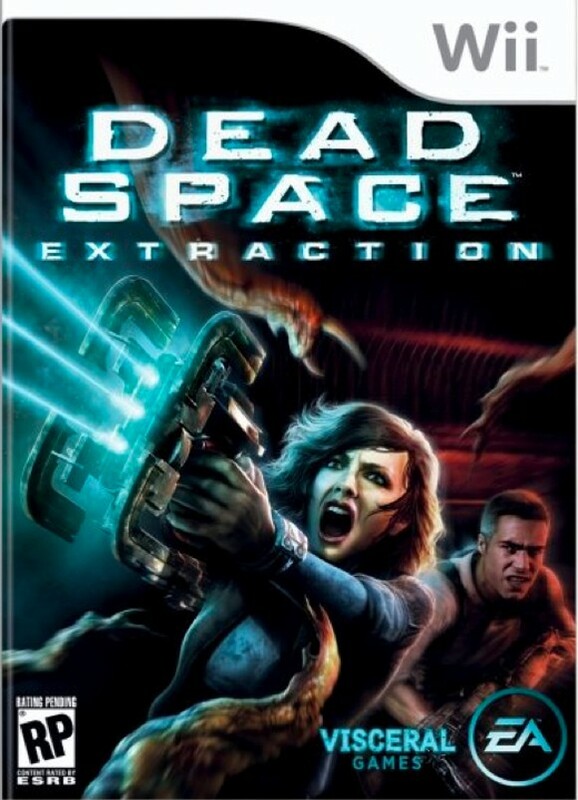 Also consider that all of the above takes only the prices of new games into consideration – with used games, prices fall even faster – Dead Space: Extraction, another well-reviewed poorly-received Wii game released just this past September, is still going for $50 new at this writing, but it can be picked up for as little as half that price used. And Extraction is the sequel to something that did reasonably well in its own right. What has changed about the market that has these prices plummeting? Fifteen years ago, most games were bought from retail stores for retail price. Since then, gaming has gone more mainstream, and GameStops are as common as Burger Kings in most strip malls and whistle stops. The rise of eBay and Amazon often cuts the retailer out entirely in favor of letting gamers sell directly to each other. GameStop makes more money from reselling used games even if it costs less for you to buy - it’s in their best interests to lower prices compared to the MSRP, even if it’s just by $5. Most people are going to go for the $55 game over the $60 game without even thinking about what goes in whose pocket. Amazon used pricing can be even more cutthroat, with some sellers going out of their way to undercut the lowest available price even if only by a penny. Since all of these transactions involve pre-owned games, publishers and developers don’t see a cent of revenue after the initial purchase, even if the same game is sold and re-sold half a dozen times (and that’s the way it should be, but that’s another post) – to compete with used prices, retail prices have to come down to compete. That’s a lot of pricing pressure, with the people who actually make the games getting the short end of the stick most of the time. How is the deteriorating price of games hurting the industry? So, I can get a game that came out four months ago for half price. How is this a bad thing? Some publishers have reacted to lowered revenues with something I like to call the “buckshot method” – fire a ton of cheap, painfully mediocre games at the public and pray that something hits an artery. This approach is prevalent on the Wii, where Wii Sports-inspired minigame compilations and licensed SpongeBob Squarepants titles reign supreme. The buckshot method has a few immediately obvious drawbacks - once burned by a bad game, the consumer will become gun-shy, nervous about buying any games in your franchise, from your company or for your platform. This is one reason why even well-reviewed entries in an established franchise, like the aforementioned Dead Space: Extraction or the DS’s Grand Theft Auto: Chinatown Wars can still manage to sell poorly. It’s harder to tell good games from bad when the market is completely flooded. Retailers will get tired of being burned, too, eventually – the rumor mill said just yesterday that Target and Best Buy, two major retailers with a fair amount of floor space set aside for games, have just said No to any and all Wii minigames. Other publishers have taken a different but still harmful approach, what I affectionately dub the “turtle method” – they’ve drawn into a defensive position, coming down hard on new franchises and creative risks and sticking close to sequels and sure bets. While this can be good for the bottom line, it’s bad for the industry creatively, and it makes it that much harder for the medium to reach people outside its established audience. Can this situation be fixed, and how? The problem of price deflation won’t go away, not with GameStop on one side and the Internet on the other, but there are still steps that publishers and developers can take to strengthen their position. First, give people an incentive to buy new instead of used. Maybe that means bonus content, like unlock codes for in-game accessories or coupons for free downloadable content or future game releases. Maybe that means registration codes that can be redeemed for prizes, similar to Nintendo’s Club Nintendo or Square Enix’s traditional game registration postcard. I’m not sure how to get the best results here, exactly, but if publishers want to hang on to those sales they need to give me a reason not to save the $5 or $10 I could if I bought used. Next, a simple suggestion that applies only to some: Give a second thought to your game’s name, and to its box art. This requires virtually nothing of you, relatively speaking – you don’t have to change a line of code. Consider this for a second. You release a game called Zack & Wiki: Quest For Barbaros’ Treasure with this box art, and you’re surprised that copies don’t fly off of the shelf? And what is it about this horrifying, shrieking woman that is supposed to make me hand my money over to you? You’re not supposed to judge a book by its cover, but people totally judge books by their covers all the time, you guys, and Grandma forgot to check the scores on IGN before she went out to Pamida to pick this game up for you. That leads me to our next problem – games need better marketing. I rarely see TV spots for games, or Web ads for games that are not on sites already about games. Many advertising departments seem to think their jobs done if they get a review copy out to all of the major enthusiast press sites, which is emphatically not the case. The gaming press circuit is an echo chamber, talking about video games to people who are already fluent in video games. Stand-up guys like Seth Schiesel over at the New York Times try to make sure that people in the real world are at least peripherally aware of the biggest titles, but a largish elephant could slip through those cracks – games only make the news when well-meaning(?) busybodies tell their local Fox affiliate that people could watch pornographies on their PSPs if they wanted. If there’s any doubt about the fact that better marketing=sales, see the massive advertising campaigns behind Halo 3 and Modern Warfare 2, two of the biggest sales successes of this console generation. Not all games can have that kind of push because not everyone has pockets as deep as Microsoft’s, but publishers need to be doing something to get the word out. A marketing campaign shouldn’t just be a brief blitz around the game’s release date, but one that begins awhile before and ends awhile after, giving people more chance to find out about it and extending sales beyond that first month of availability. Madworld-branded blood-colored Game Fuel, anyone? Finally, the notion that a months-old game is old news needs to be shed. Most people can’t play everything as it comes out – I’m still working my way through the games of 2008 and 2007 and before, and I write about these things on the Internet. Consoles find their ways into new homes every day – someone putting a PS3 under their TV today could potentially be sold years of Sony’s back catalogue. This may, perhaps should mean that developers and studios just release fewer games throughout the year so that they can give each one a little more attention. I worry, sometimes, about the stability of the game industry. We’re in a strange period of flux right now – games have entered the mainstream but lack respectability. Our biggest titles, all-too-often, are derivative creative vacuums. The growing pains related to the Wii and its intended audience are likely to visit the Xbox and Playstation crowds when their various intuitive-motion-control-things come out in the next year or so. Parallels have been drawn between our current status and the state of the industry just before the game market crash in 1983, and while I believe that there are fundamental differences that will prevent a similar crash (multi-billion dollar franchises and companies, a thriving enthusiast community), some of the symptoms are the same: a market that is flooding if it isn’t flooded, consumer confusion about the difference between good games and bad, and too-low prices for quality games that must compete with bad games for impulse-buy dollars. Recent news from retailers and publishers alike seem to indicate that they’re taking steps to address these issues, refusing to stock inferior product and scaling back production. I hope this is true, and that it fixes some of the industry’s problems – I, for one, wouldn’t mind paying retail a little more often if it meant better games. *: Most prices and pricing trends were obtained from Amazon.com at time of writing.